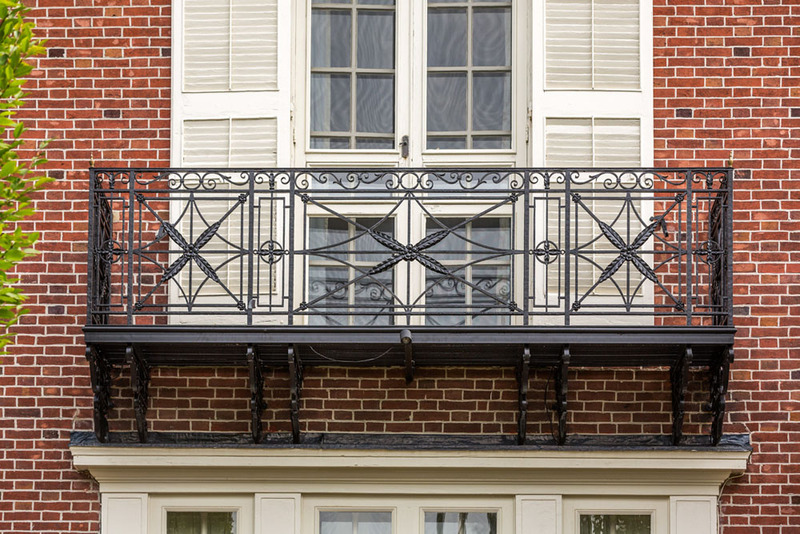 We were contacted by a client in Philadelphia about some historic balcony railings and historic terrace railings. 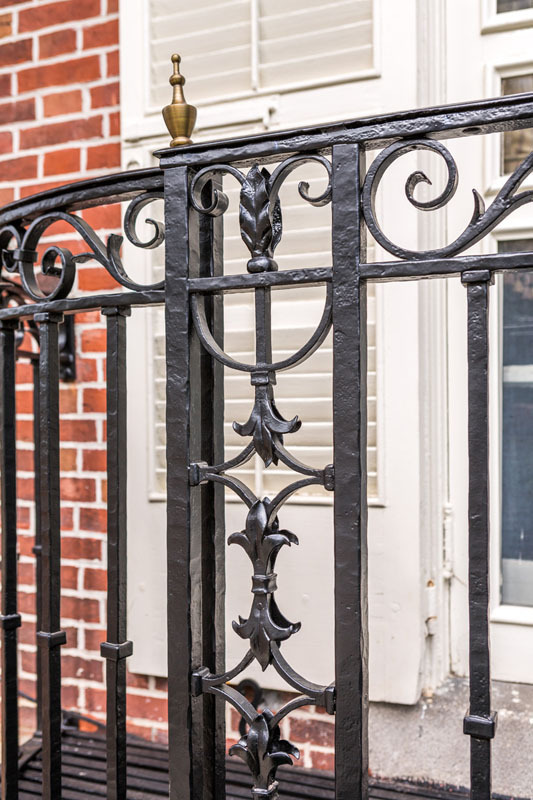 The original wrought iron railings were around 100 years old and some were in a pretty bad state of neglect. 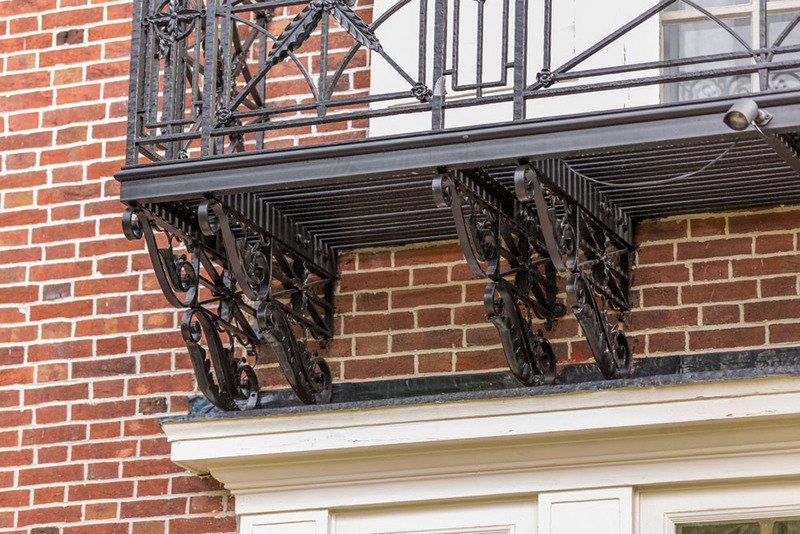 The main challenge was that the original balconies had been originally mounted to the wood structure and then 2 rows of brick were laid in front, so the mountings were totally inaccessible. We had to come up with an innovative way to remove and reattach, and the team did. The original frames were cut approx. 6” from the brick and then a 12” long tapered block was created to fit inside the main balcony frames. The plan was to remove 1 balcony railing, correct all the structural deuteriation, strip the multiple layers of old paint off, hot dip galvanize and powder-coat. The test balcony project was started, and went as far as the stripping and stopped. An original, authentic Samuel Yellin stamp was found!!! This stamp completely changed the value of this balcony. Had the client wanted to sell the balcony, it might have been worth $1,000 - $2,000. But with that original stamp it could be worth $25,000. 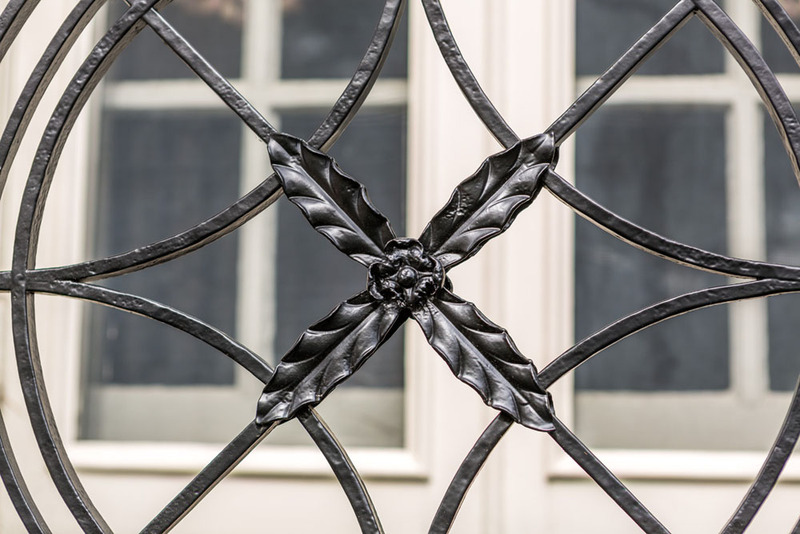 We have a client that paid $48,000 for a Samuel Yellin wrought Iron table. And he was looking at Samuel Yellin staircase railing that cost $150,000! So, we completely re-evaluated our approach. The valuable Samuel Yellin stamp would be obscured with the thick coating of hot dip galvanize. So, we utilized a slightly less encapsulating finish of E-coat. This did not diminish the authenticity of the Samuel Yellin Railing Stamp! 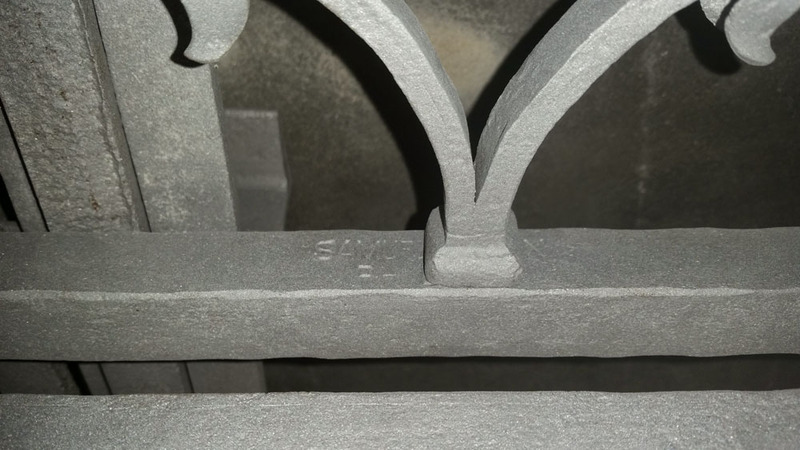 The test balcony railing was completed, reinstalled and passed criteria for rigidity and stability. Then the whole project was removed and taken through the process. There were additional Iron leaves and scrolls that had to be completely recreated. And it was also discovered that some of the original finials had been bronze on top of the balcony railings. So, the needed bronze finials were re-created as well. Additional Samuel Yellin stamps were found. The project was long and tedious, but so worth it to restore a beautiful Samuel Yellin railing and a Samuel Yellin Balcony Project. Giving the whole project new luster and beauty. And a new lease on life for a Philadelphia railing project that can be appreciated for decades more.